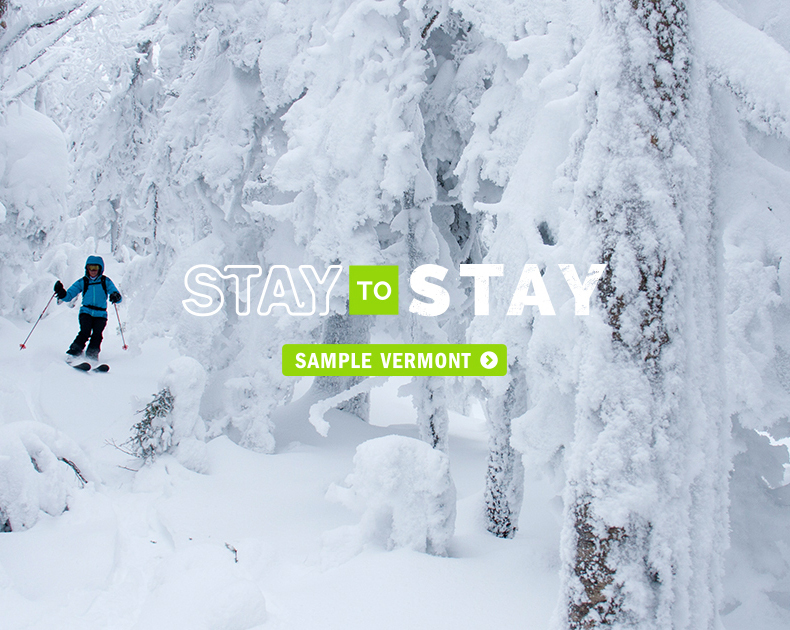 MONTPELIER, Vt. – The Vermont Department of Tourism and Marketing (VDTM) announced its schedule of 2019 Stay to Stay Weekends, exploratory vacations for people who are interested in moving to Vermont. The Stay to Stay Weekends will take place in four communities during 15 separate weekends from February through November: Bennington/Manchester, Brattleboro, Burlington, and Rutland. The 2019 Stay to Stay Weekends follow a successful pilot program launched in 2018. Collectively, 140 participants attended the 2018 Stay to Stay weekends. Seven of those 140 guests have already relocated to Vermont, and an additional 37 are actively job hunting, looking for housing options, and making plans to move to Vermont within the next year. Stay to Stay Weekends begin with a welcome reception on Friday evening (or Saturday for Stay to Stay Ski Weekends) hosted by a local chamber of commerce or young professionals network. The rest of Saturday and Sunday are unscheduled, allowing guests to explore the area on their own, or connect with other community leaders. On Monday mornings, guests can meet with employers, tour the area with a realtor, or visit incubator and co-maker spaces to meet with entrepreneurs and other professionals. For more information, the full listing of dates, or to register to attend visit the VDTM Stay to Stay page. The Department of Tourism and Marketing promotes Vermont’s travel, recreation, cultural and historic attractions, as well as the state’s goods and services, in coordination with public and private sector partners. The department also works to market to a global audience in a manner consistent with the values and traditions of the state for the economic benefit of all Vermonters. Vermont’s tourism sector supports 32,000 local jobs and contributes $2.8 billion in economic activity each year. VermontVacation.com. The Vermont Agency of Commerce and Community Development’s (ACCD) mission is to help Vermonters improve their quality of life and build strong communities. ACCD accomplishes this mission by providing grants, technical assistance, and advocacy through three divisions: The Department of Economic Development, the Department of Tourism and Marketing, and the Department of Housing and Community Development. For more information on ACCD please visit: accd.vermont.gov.